SEO in Buxton Taught Me These 10 things! After working for Stoke on Trent City Council for 10 years as an IT Trainer and Technologist, I got the chance to come home and work in Derbyshire. It was 2012 and I’d landed a job working as an SEO in Buxton. You’d be forgiven for thinking that there aren’t any companies offering SEO in Buxton, but like any other rural town, the advent of high-speed broadband means that rural workers are no longer forced to commute into Sheffield or Manchester. Today there is an ever-growing number of creative agencies in Buxton and around the Peak District. During my time working in Buxton, five years flew by in the blink of an eye, and in that time, I moved house twice, got through 3 cars, emptied and sold my late Aunts house. We gained and lost a few pets, not to mention a few pounds in weight. The job was focussed on e-commerce SEO in Buxton. I learned a lot about myself and about working with other people. Here’s my list of some of the key things I’ve learned and am now mindful of in my own business. We’ve all heard that broadband speeds in rural areas could be better. It’s definitely true in the Peak District and surrounding areas. The terrain is challenging for sure. 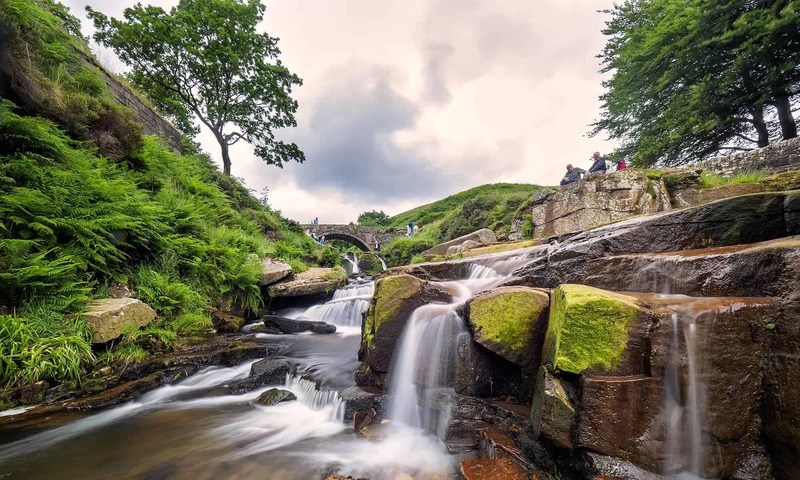 There are many small hamlets such as Weston, Smalldale, King Sterndale and Biggin, but there seems to be a lack of real will to create a comprehensive plan to connect rural towns and villages to the 21st century. Most homes in Buxton now have access to ADSL and Fibre is available, in some places. However, I’ve had many conversations with local business owners who say that their internet connections simply aren’t up to the job. The Peak District and outlying towns like Buxton and Matlock may be rural but they still have a healthy population. These larger towns and villages like Tideswell, Bakewell and Baslow have thriving businesses who want to expand their online operations, and yet in many cases are still being prevented from moving forward due to poor access to the Internet. To be fair, there are some moves being made. Derbyshire County Council has the Digital Derbyshire initiative in place, and fibre is being added to more and more areas. Seo Companies like Peak District SEO, Web agencies like Tor Studio and Social Media Management companies like Social Myna are flourishing as more and more firms take their business online. The change of pace could be faster though. We need every house and business connected to the fibre by 2030 as a minimum goal. Rural Derbyshire towns like Buxton, New Mills, Glossop, Bakewell, Matlock, Wirksworth and Ashbourne are all expanding. With that expansion comes new people with new ideas. People moving out of the cities into rural areas bring with them new, fresh ideas, not to mention investment and job creation. Most new businesses created today have some kind of web presence. However, to be competitive in 2018, you cannot just have a web page, stick it up on the web and leave it. Nor is it sufficient to just have a Facebook page. It’s never been more important to have your own corner of the web, branded with your own logo and colours, where you have total editorial control of how you promote your business. Yet without the help of web professionals many business websites flounder. In the past, their best option has been to turn to the city agencies, only to recoil at the prices quoted. I get many SEO enquiries from small businesses who share this vision but simply cannot stomach the exorbitant prices charged by big city agencies. That’s why I set up Peak District SEO. I saw that local small to medium-sized businesses really needed assistance with all topics website related. Let’s get something straight, SEO is expensive. Any professional service that you pay for comes with a healthy price tag. However, just because a company may be more expensive than another, doesn’t automatically make them better. The same applies to companies whose prices are ridiculously cheap. It pays to do a little research on the companies before hiring. Make sure they can show you examples of their successes. Whilst doing SEO in Buxton, I researched a number of so-called “leading Magento agencies” and found that the prices being charged for Website builds, SEO, PPC etc were just phenomenal. These companies were trading off their brand name and the name of the product. When we came to review the work of some of these companies, we were often shocked at its poor quality. We all have costs to meet and all know the value of our work. “Something is only worth what someone is willing to pay for it”. That said, there are limits. I’m against charging companies more money just because they have a higher turnover. Nor do I believe in charging high prices just because I want to align myself with the “leading lights” of the industry. No, Peak District SEO always charge a fair price for work carried out. I like to think of myself as a tradesman of the digital age. I don’t saw wood or build walls, I build links, and renovate websites. Furthermore, It’s my aim to align with the businesses I work with, not ones in Seatle, Rome or Monaco. When you book work with Peak District SEO, you’ll get a fair deal, plain speaking and consistent growth. There’s no hype, no daft unattainable projections, just solid graft and a marketing colleague working for your success. I’m not talking about those seminars held in big draughty halls where a presenter talks for an hour about digital marketing and how you should choose their company. I’m talking about one to one support that businesses need. Over the years I have talked to many company directors about their hopes to grow their online business. These directors have all have a difference in technical know-how as to what they want, what they need and how to implement their plans. One common theme is that companies are, in the main, not aware of all the many technical solutions that are available to aid productivity and collaboration. Ten years of training teachers and educators across the country has taught me that even the brightest minds need support, and training from time to time. I organised Apple Mac Training for School Technicians in Stoke on Trent. Peak District SEO have the policy of being available to deliver whatever support and training clients need. I want clients to understand the differences between browsers, and email clients, and want them to know what types of software will help them do their jobs better. When you work in one place for a number of years, your workmates become like family. You get to know them in a way that you never imagined that you would. You can’t choose your workmates, so try to look for their best qualities, even if there are some people you don’t seem to have much in common with. Developers and SEOs are always locking horns regarding what makes a perfect website. I can think of numerous times that Devs have helped me with problems that are out of the realm of an SEO’s technical knowledge. Stuff like server issues and DNS issues. I also remember times when my seo knowledge has helped the design/dev team with little on-page SEO tips saving time by building features into sites from the get-go. Just like in a family, there extroverts and introverts. There will be times of laughter and sometimes tears, occasionally anger, and definitely plenty of frustration. When you’re feeling such frustrations, it’s good to remember that each member of the team is there because of the skills they can bring to the company as a whole. So don’t sweat the small stuff. In 2012, I definitely thought that I knew it all when it came to SEO. After being in post for 6 months I realised that I still had plenty to learn. My boss had a real in-depth knowledge of software applications, introducing me to a myriad of plugins and extensions that could automate processes that I’d been doing by hand. Initially, I was sceptical of such methods, but today I’m certainly grateful for that knowledge and still use a lot of it today. Now that I work for myself, I now know that such timidity has to go out of the window. A certain level of innovation and a fair dose of motivation is necessary. My old boss was doing what he had to do to keep all the projects moving. To add extra value to what we were delivering, he had to explore all possibilities. That is certainly a valuable lesson. I think this lesson was one of the hardest to learn. Accepting that there is only so much you can do to make a project succeed. Projects are rarely run in entirety by one person alone. It can take a team of people to ease the burden and take up the slack sometimes. Whether that means you work tightly with developers and designers, or whether a project manager is delegating work to you, it can pay dividends to accept that you are only responsible for ‘your part’ of the project and that ‘your part’ is only part of the whole. Even clients have to do their bit, by providing the relevant information, copy, business sector insight etc. If clients aren’t fully invested in the project as a whole and aren’t keen to contribute and engage, projects can become heavy weather. Don’t get stressed out if things aren’t moving as fast as you’d like, talk to the Manager or the PM, if they are happy then you can relax. I talked earlier about the team and how every member of it is an essential piece of the jigsaw that makes up a well-run project. That’s very true but what about when the individuals within the team, are not happy or fulfilled. You have enough knowledge to know how to structure the tasks into manageable chunks but it can become a case of rinse and repeat, especially when working on eCommerce SEO. If you are tasked with on-page SEO of 20,000 products, from a company that has a huge budget, and who rarely call or engage with you, it’s easy to become disillusioned. I’d advise any SEO specialist who finds themselves in such a situation to seek out qualifications. Do your Google Exams, Bing Exams, Chartered Institute of Marketing, or copywriting. Do something that makes you feel good about your skills, something that refreshes your skill set and revives your passion for this wonderful job. If you don’t take such action, you can fall behind, then it can be a slippery slope. It’s easy to get complacent when you have a 9-5 paid job. The bills are covered, you don’t have to pay for your desk, your computer, the lighting, heating water or ground rent. You turn up to work complete your tasks and go home. It’s certainly easy for someone in their late 30’s to early 40s to fall into such a pattern. You can soon start to question your own worth, and feel negative about the work that you are doing. Try to stay fresh with your subject knowledge. If you feel stale in what you are doing, the chances are, others around you will have noticed that staleness. Especially your team leader or boss. If you value your job and want to save it from spiralling out of control, speak to management and get help to improve what you bring to the table. Do it now, before it’s too late. There are many more villages and small towns in the U.K than there are cities. Throughout history, people have flocked to the cities for work, because that was where the new ideas were to found. In the 21st century, the Internet should level the playing field significantly. Businesses don’t need to be based in the City to reach a larger market because their audience can be reached online. Similarly, workers will no longer need to commute because their work can be done from a home office, back bedroom or even the kitchen table. More and more people are working from home and more and more people are starting their own businesses. TUC figures from 2016 show that 1.5 million people were now working from home. As computer technology, mobile phone signals and broadband speeds improve. This figure is only going to rise as s people become more independent, and self-reliant, more opportunities arise. The Office for National Statistics reported that in 2016 there were Five Million self-employed people. I expect to see an explosion in new businesses in the coming decade as fewer people are restricted by the working constraints of the 20th century. I began this article talking about getting an opportunity to work as an SEO in Buxton, and some of the things that 5 years in post taught me. I’d like to end by saying that long periods in one job sometimes show you that actually, a change is what you need. After 10 years in Education, and then 5 years in an agency, I had a yearning to try my hand at running my own business. I needed to be able to make decisions and stand by my decisions instead of deferring to someone else. My instinct was telling me that there were business opportunities available that I wanted to tackle, but such opportunities weren’t always aligned with the goals of my employer. As frustrating as that may seem, you have to respect their wishes because they are paying your wages. If you can’t handle being subordinate, it might be time to strike out on your own. Even if you realise that you need a change, being brave enough to make that change is hard. If there was one piece of advice I’d give to my younger self, it would be to take a leap of faith. Set up your company whilst you are young. Preferably, do it before you have a mortgage and kids, that way, if you fail, you have less to lose. That said, for the first time in years, I’m no longer scared of failure, it’s just not an option. In its first year, Peak District SEO is doing well. Leads keep coming in and they are becoming clients. I personally feel like I have learned more in the last 6 months than I’ve learned in the last 15 years. I should have done this years ago!